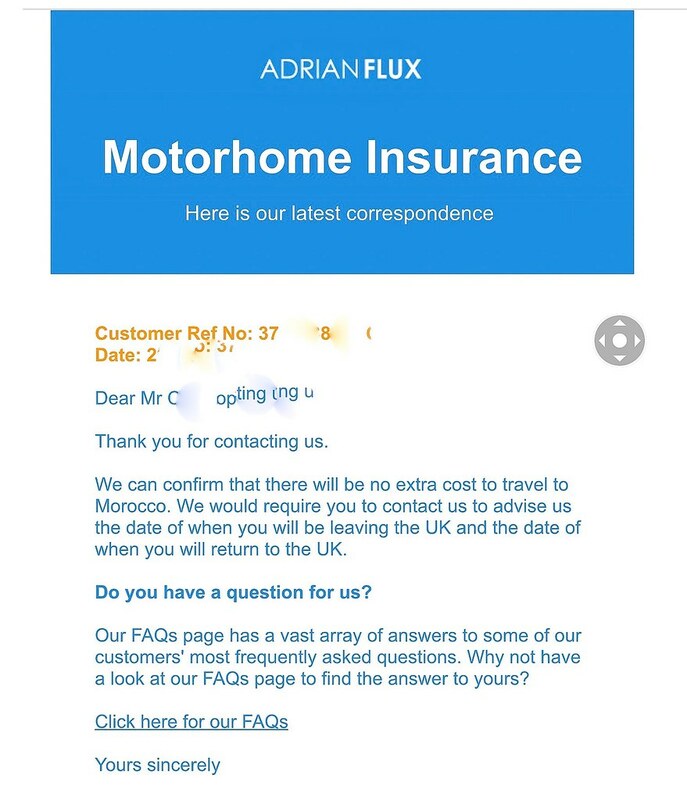 Some useful pieces of information to know regarding your motorhome / campervan insurance, when travelling in the EU, or planning a trip further afield..
That's approx 6 months outside the UK. Do not SORN your van while travelling! Morocco cover at no additional cost! Good to know..
By the way I am not an affiliate, or in anyway advertising the company. This info is provided purely for those asking questions about insurance while abroad. 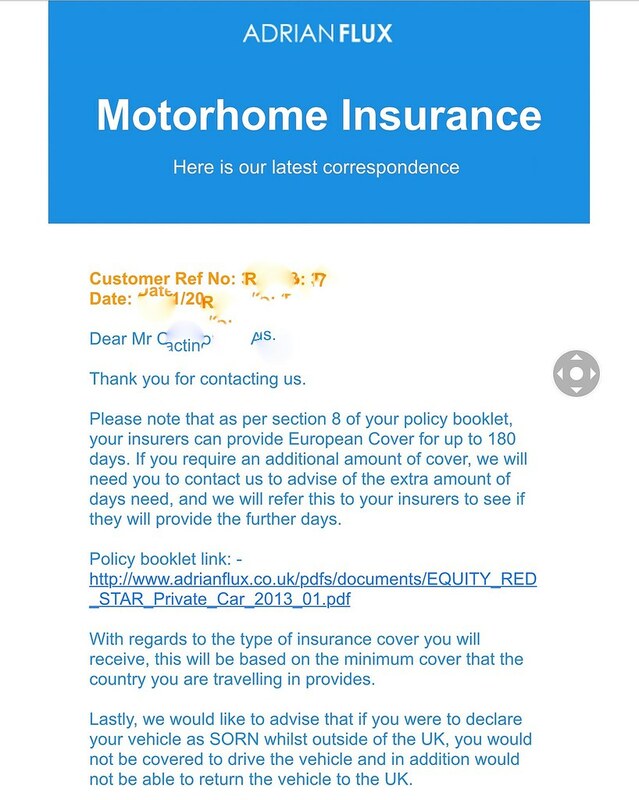 Also, obviously these answers only apply to this insurer; check with your own directly as I did to get an answer you can rely on.